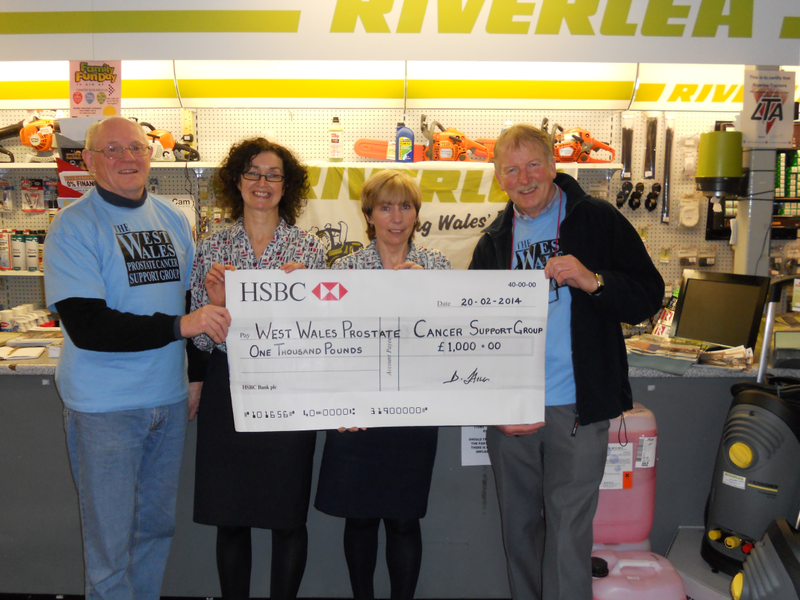 Pictured left to right are Ron Davies from the West Wales Prostate Cancer Support Group, Anne Williams and Eirlys Goldsmith from Riverlea, and Phil Burr from the West Wales Prostate Cancer Support Group at the presentation of a cheque for a £1000.00. This sum was raised through a raffle held at the recent annual Riverlea Spring Show at the Showground at Nantyci. The support group is very grateful for the support from Riverlea and the farming community attending the Show.